In this video I’m going to show you (in my opinion) the best how to way tape an Inside Corner of drywall for the seasoned DIY’er or even a beginner at doing drywall finishing This video is from my Best of DIY Drywall Tips and Tutorials Series. Tools needed: In this video I’ll be using a 12 inch drywall taping knife to get the mud in the inside corner of the sheetrock. 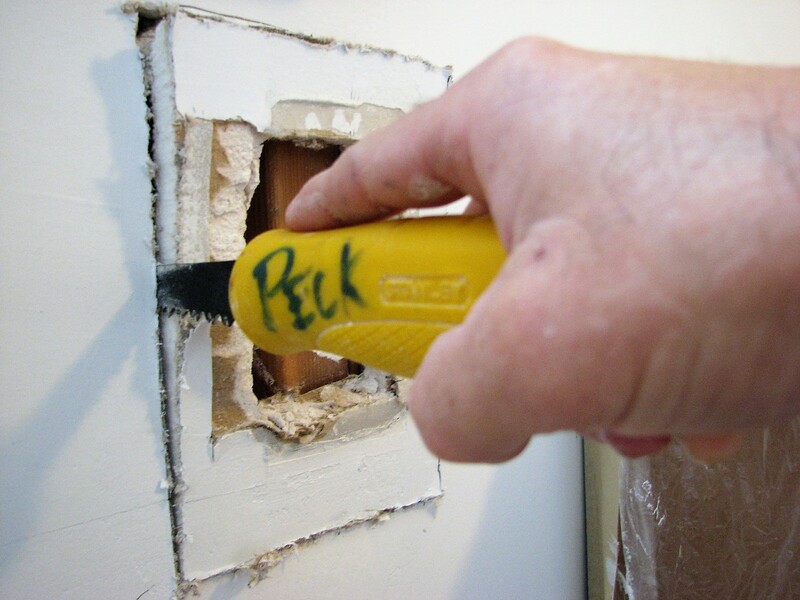 Tools that you will need are: A mud pan, 6″ drywall taping knife and drywall paper tape. I’m using an all-purpose joint compound to bed and finish the corner tape. If you have any questions about how to tape inside corners or this DIY taping technique that you see in the video? While on My Beach House Remodeling Project I wanted to take the opportunity to show you how to use a drywall corner tool. This corner repair is where the ceiling and wall meet. if you ever have a corner repair you need to do then this video can definitely help you out! This drywall finishing technique makes doing inside corners on sheetrock super simple. I like to use a 12 inch drywall taping knife to lay out the mud. Lay it out just a little bit wider than the paper drywall tape and then take the 6″ drywall taping knife and smooth it out in one long pass on each side of the corner before applying the drywall tape. I’ll take the paper tape and tear it just a little bit longer than the repair area. Now fold the paper tape in half and place the center of the table in the center of the corner. Now take your 6″ taping knife starting in the middle and go out applying light pressure. It is important to start in the middle because you can get a crinkle in the tape and once that happens it’s hard to get out! Now start in the middle and go the opposite direction of using light pressure like you just did before. Now take your 6″ taping knife and lightly apply mud over top of the tape like you did to the wall and ceiling before you added the tape. Be sure not to push too hard and move the corner tape while you’re applying the mud. Now once again take your 6″ taping knife and go over the corner tape. This time not starting in the middle but going from one end of the corner to the other. Applying light pressure. Once you’re done with that the corner is pretty much a done deal. You might need to do a little sanding otherwise it should be ready to go.